Some customers are shoppers. Others are buyers. 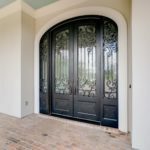 It’s pretty common to have people visit our website to look at doors then later come into our showroom and start the touch/feel process. These folks are the “shoppers”. 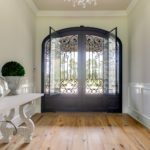 Given the number of choices in doors and the fact that people buy new doors maybe a few times in their lives, it’s easy to understand why it takes some people awhile to make their choice. But every once in awhile we get that customer who knows exactly what they want. They found it right away and didn’t need to look around. These folks are the “buyers”. Such was the case with a recent customer who came into our shop on a mission. 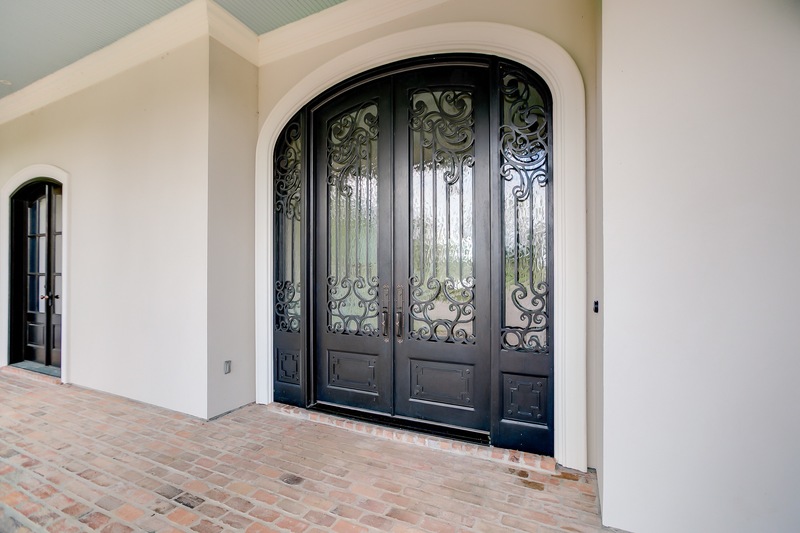 She told us she was looking for a set of eye popping, custom wrought iron doors for their new home. 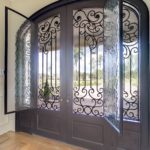 She was pointing to the set of custom wrought iron doors featured in this gallery. She knew she wanted them as soon as she saw them. Did she make a good choice? The pictures speak for themselves. 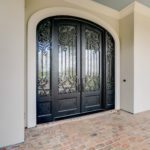 This particular set of doors was built in Monterrey, Mexico. 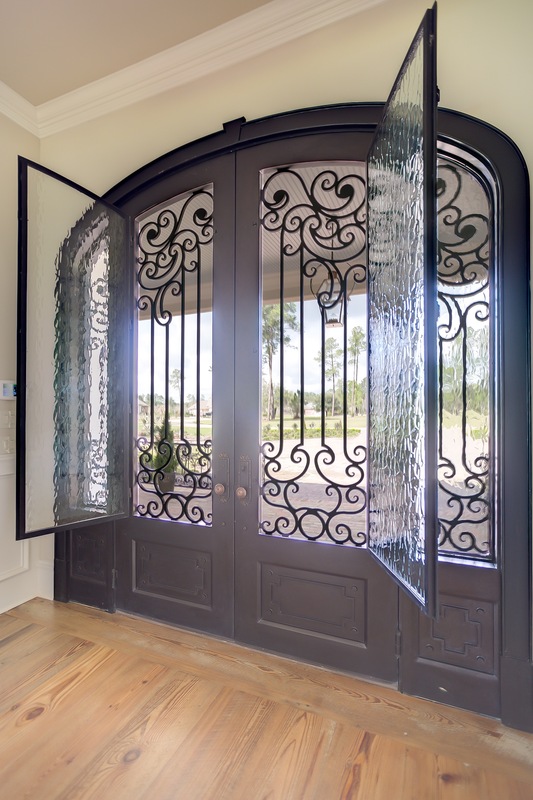 As you can see, the glass opens on the doors as well as the sidelights to let the air flow through. 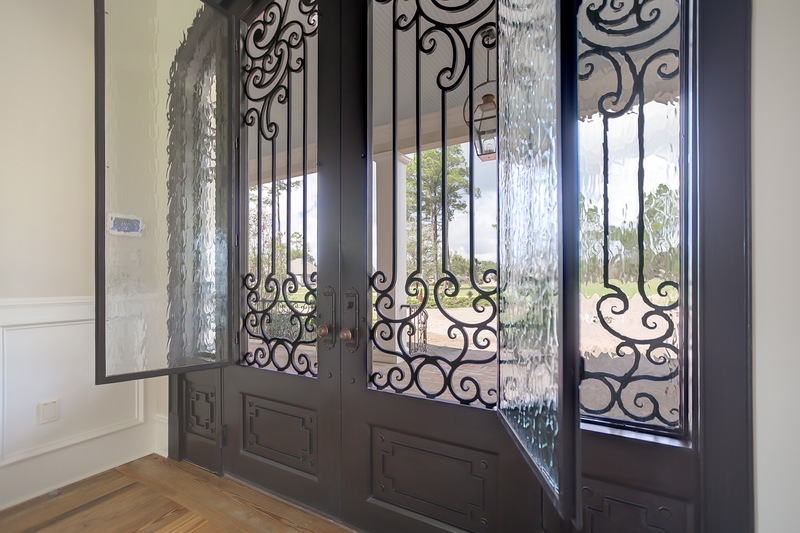 The doors are finished with Flemish glass which gives you a somewhat distorted look but is still clear enough that you can see through them. 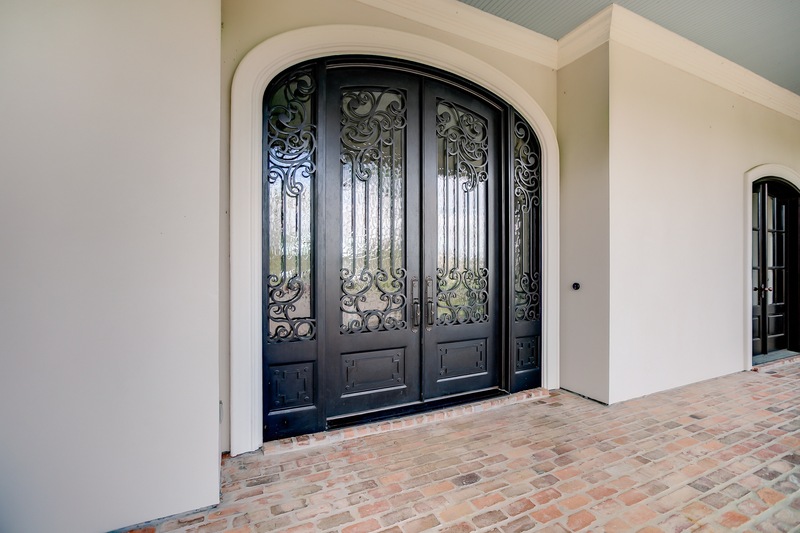 They feature inlaid carving on the bottom of the door and are painted with an automotive finish. 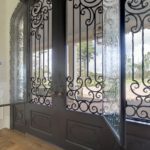 Perhaps the best part is that the customer was able to have her gate and iron work rails created to match the style of the iron in the doors. 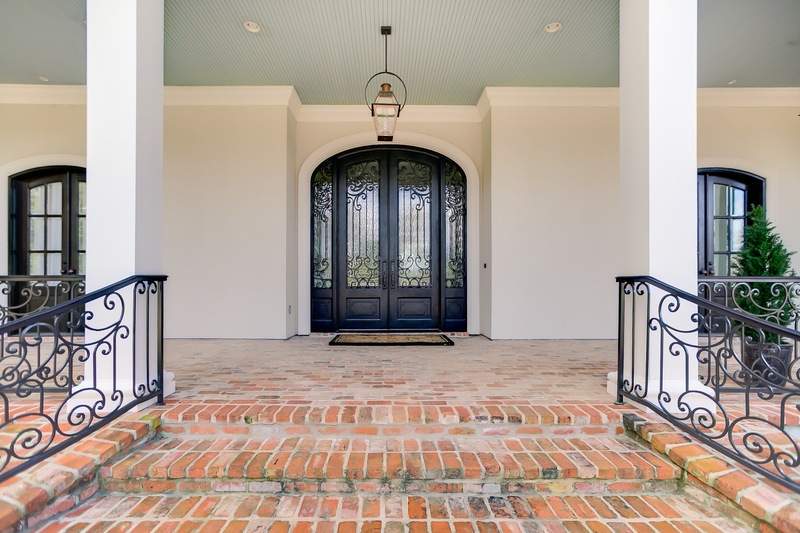 The finished look of the home is stunning and matches everything down to the copper lanterns. 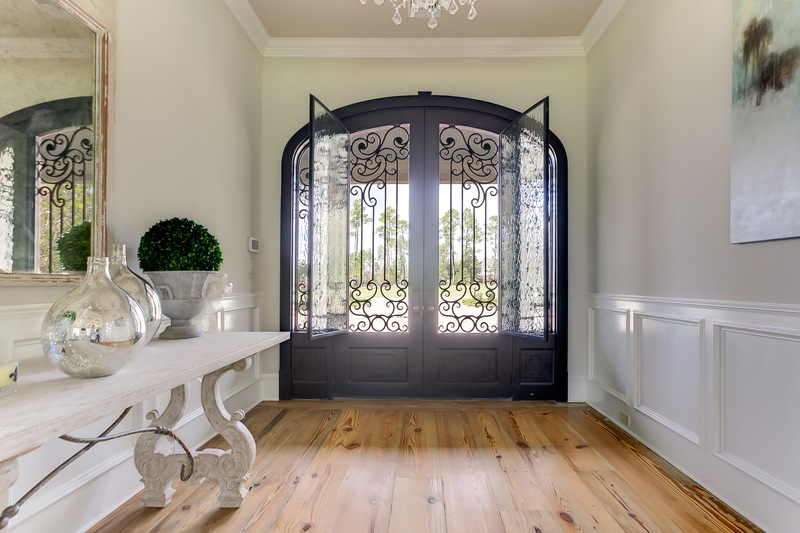 Whether you’re a shopper or a buyer, we’re almost certain we can help you find a door to match your style and budget. This particular customer was one of our fastest buyers ever! But they found what they wanted quickly. If it takes you longer don’t worry, we’ll help you every step of the way from choosing a door to installation.